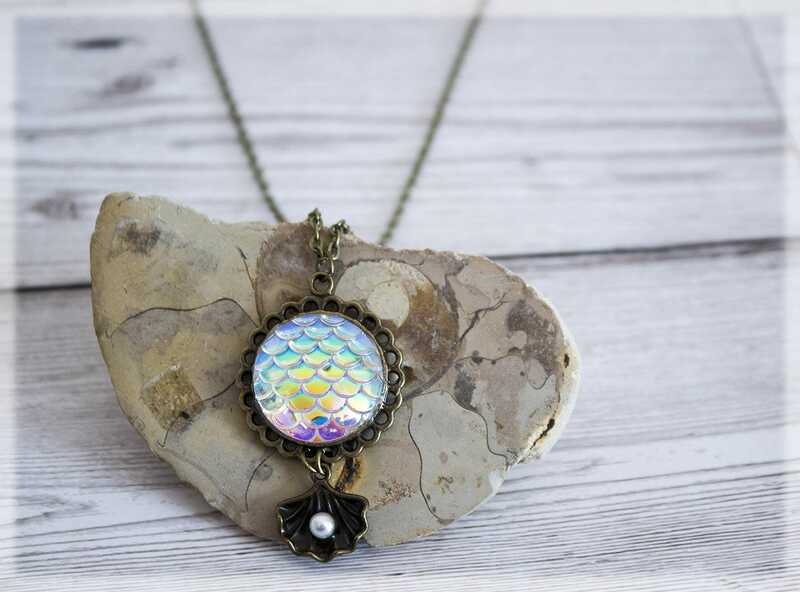 Enchanting and dazzling Antique Bronze mermaid shell pendant necklace, hand crafted in my magical faery studio. 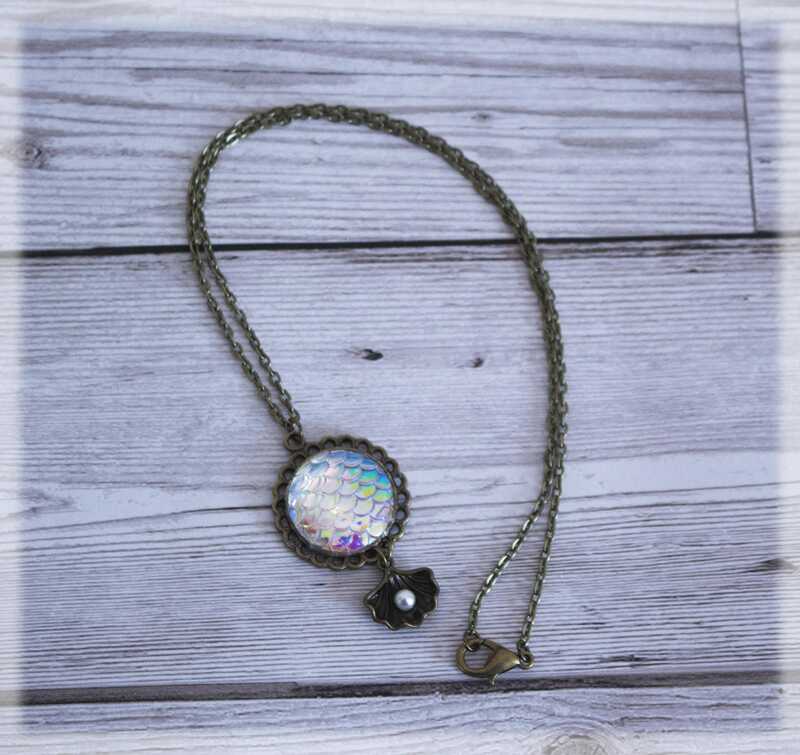 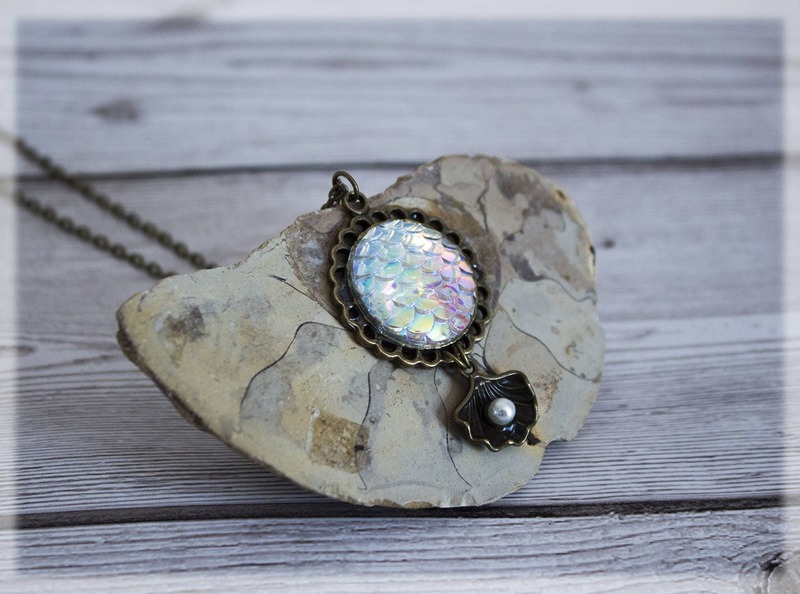 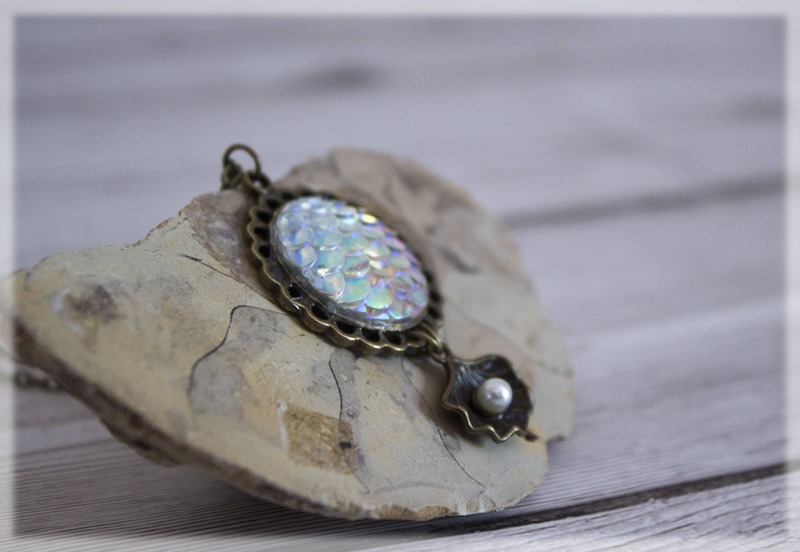 A dazzling rainbow cabochon mermaid scale is set in an antique bronze tone round setting frame, with a beautiful faceted glass sparkling bead and dainty sea shell with a faux pearl bead. 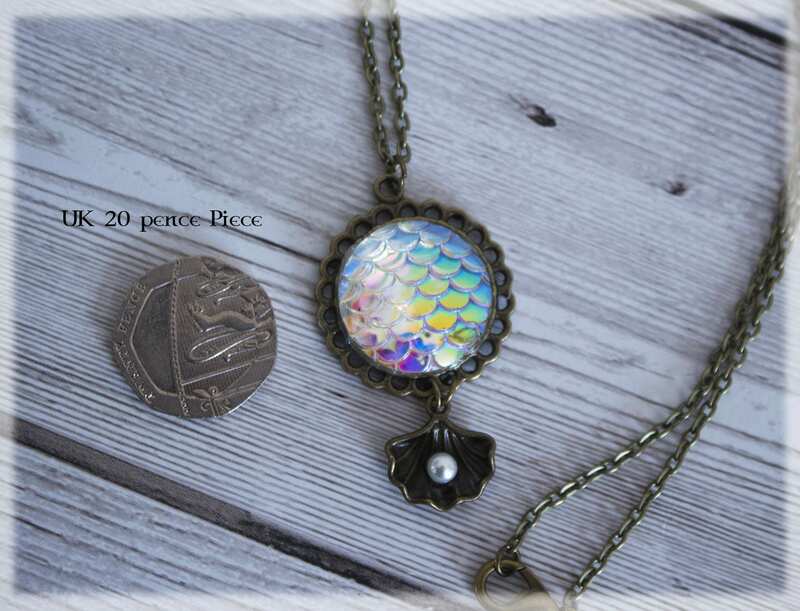 ~The necklace comprises of a bronze Plated 4 x 3 mm textured cable link chain, approx 18 inches long with lobster clasps.